If i am not mistaken knight versus queen is won by the queen if the queen doesn't fall in a fork. 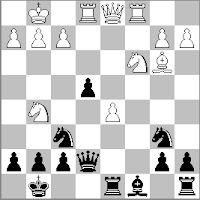 Secondly i want to say to watch out for to high expectations after studying chess and immediatly playing afterwards. You may know what you have studied but implementing it in your game doesn't go immediatly. It takes some to for the coin to fall.